To evaluate the repeatability of the fast measurement of the visual acuity (VADC) and contrast sensitivity (CSDC) defocus curves with a new test as well as the agreement of measurements at far distance obtained with the Early Treatment Diabetic Retinopathy Study (ETDRS) chart and the ClinicCSF test for measuring Contrast Sensitivity Function (CSF). 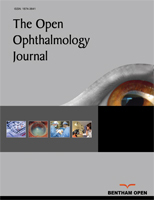 Records from fifty-nine subjects implanted with Multifocal Intraocular Lenses (MIOLs) were retrieved from our database. VADC and CSDC were measured from +1.00 D to -4.00 D in 0.50 D steps. The agreement with the ETDRS and the CSF at far distance was assessed in comparison to the 0 D location of the VADC and the CSDC, respectively. The repeatability was evaluated in 34 subjects who consecutively repeated two measures. Median Visual Acuity (VA) was -0.1 logMAR with the VADC at 0 D of defocus and 0 logMAR with the ETDRS (p>0.05). A total of 45.8% of eyes showed no differences between both tests and the difference was less than one line of VA in 96.6% of the eyes. The intrasubject repeatability was under one line of VA along all the defocus curve except for positive defocus levels. The CSDC showed the best agreement with the CSF for 18 cycles per degree. The CSDC was less repeatable than VADC. Mean time spent on completing the VADC and CSDC was 7.81 and 7.98 minutes, respectively. The VADC showed good agreement with the ETDRS and good repeatability despite the short testing time. In contrast, poorer repeatability was found for CSDC. Our method would facilitate the inclusion of VADC in clinical practice as it is a fast test, being also the first one including the measure of CSDC. Keywords: Defocus curve, Visual acuity, Contrast sensitivity, iPad, Multifocal intraocular lenses, Visual performance. © 2019 Fernández et al.